Charles P. Rettig, here, has produced another worthy read. Charles P. Rettig, The 2012 IRS Offshore Voluntary Disclosure Initiative (Journal of Tax Practice and Procedure (February-March 2012), here. I apologize to readers for the overdue posting. Since the 2012 OVDI asserts an offshore penalty based on foreign ﬁnancial accounts and asset valuations, for many with smaller ﬁnancial account values the aggregate offshore penalty determination, even for multiple years, may likely be less outside the OVDI. Indications are that those opting out will be treated fairly, based upon any unique factual scenario. For those participating in the OVDI, is an “opt out” based on a unique factual scenario a viable alternative to the OVDI? There are rumors regarding ongoing “John Doe” summons activity seeking to force foreign ﬁnancial institutions to deliver account-holder information to the U.S. government as well as possible indictments of foreign ﬁnancial institutions. Recently, several foreign institutions have advised their account holders to consult U.S. tax advisors regarding the IRS offshore voluntary disclosure program and their U.S. tax reporting relating to their foreign ﬁnancial accounts. It is reasonable to assume that such institutions will take whatever action is necessary to avoid being indicted, beginning with the delivery of information regarding account holders to the U.S. government. It is likely that ongoing enforcement efforts will require foreign ﬁnancial institutions doing business in the United States to disclose account holders having relatively small accounts and earnings. There have been rumors of discussions regarding accounts having a high balance of the equivalent of $50,000 at any time between 2002 and 2010. U.S. persons having interests in foreign ﬁnancial accounts should not ﬁnd comfort in a belief that their foreign ﬁnancial institution will somehow refrain from disclosing very small accounts in the current enforcement environment. Those who think too long may be sorely surprised at the high level of ultimate cooperation of their institution with the U.S. government. Taxpayers having undisclosed interests in foreign financial accounts must consult competent tax professionals before deciding to participate in the 2012 OVDI. Many taxpayers will decide to submit a voluntary disclosure based on a personal desire to come into compliance now that they are aware of the FBAR and other foreign account reporting requirements. Others may simply want to move on with their lives. 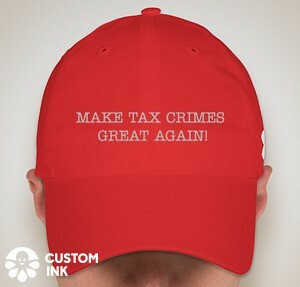 Some may decide to risk detection by the IRS and the imposition of substantial penalties, including the civil fraud penalty, numerous foreign information return penalties, and the potential risk of criminal prosecution. Although the 2012 OVDI penalty regime may seem overly harsh for many, the decision to participate should include an economic analysis of the taxpayers projected future earning power that could be generated from the funds held offshore. Participating taxpayers may well beneﬁt by repatriating stagnant foreign funds into a recessionary domestic economy with a suffering real estate market and business opportunities lurking behind every corner. for many with smaller ﬁnancial account values the aggregate offshore penalty determination, even for multiple years, may likely be less outside the OVDI. Indications are that those opting out will be treated fairly, based upon any unique factual scenario. For those partici-pating in the OVDI, is an “opt out” based on a unique factual scenario a viable alternative to the OVDI? If correct, this is good news for minnows. Not every minnow will have as good a factual scenario as Moby or Sally, but this indicates that they will pay attention to factual scenarios, and distinguish the clearly willful from those with lower levels of culpability. "Participating taxpayers may well beneﬁt by repatriating stagnant foreign funds into a recessionary domestic economy..."
And here we see the true purpose of FATCA and its ilk revealed. Little to do with tax compliance, and mostly about discouraging investment outside of the US, to the point that people give up trying. Protectionism, in other words. Yes, that is what we have been saying for some time now. It is just very unfortunate that the IRS makes you go through such a long grind to reach the back end of the process to get discretionary relief. Big design flaw that they continue to fail to correct. Such repatriation will be net zero or worse for the U.S. with foreign investment fleeing because of FF1s #FATCA compliance difficulty and the International Revenue Service (new name for IRS) imposing of the Domestic equivalent of FATCA which I call DATCA. Yes, but then why join in the first place if one has validated with an attorney that they don't have bad facts, and that they're likely to opt out. Jack, I just found your June 13 article on "Making Voluntary Disclosures" from the Tax Alliance Conference. I am not sure if you have published it on this site, but I recommend it as a complement to the Rettig article and also as an article that provides an even broader perspective than the Rettig article. Your article summarizes much of what has already been posted on this site. It is nice to have it in all in one place. For those who have recently become FBAR aware, it is worthwhile reading, especially pages 19 and 20. I encourage readers to take note of Footnote 20. From personal experience, if OVD participants find that their attorney fees exceed their preparer fees, maybe a re-evaluation of their relationship with the attorney is in order. There are many different approaches possible. I looked up the schedule of the Tax Alliance Conference mentioned by anon5percent and it also mentions that the Taxpayer Advocate is also presenting (indeed, the presenter before you). If you or other practitioners get a chance to talk to her, you might want to mention some of your criticism of the OVD programs and how its impacting a lot of (from her own report) "benign players". Even if the IRS is being fair on opt out (and that seems to be the case), some of the horrifying possibilities that it presents (100K/year/account) are likely to discourage people with otherwise good facts from opting out. Ms Olson seems to be well aware of the plight of expats -- I'm not sure she is fully aware how much immigrants have been impacted and how some with low to no culpability may been stampeded into the VD programs. mitigation guidelines, and she could at the least push the IRS to provide more transparency on how the IRS is handling 'benign actors'. I agree that the IRS should have more transparency. Of course, the IRS cannot publish individual penalties and the basis for those individual penalties. But the IRS could present some aggregate penalties in some meaningful way to mitigate the uncertainty surrounding the application of the penalty. Just read Jack's June 13 article, not only a great summary of what he's said, but candid in saying that OVDI or noisy disclosure are in many cases not as good for the client as quiet disclosure. Regarding legal/accounting fees of OVDI, if the IRS weren't threatening draconian penalties, I would have rather paid the same amount to the IRS, if I had been given assurance of no draconian penalties. Instead I must spend those fees to avoid any footfault in my disclosure that might impair my chances of opting out or cause a worse result. There are few lawyers and accountants with knowledge and experience in this area, so the few who do are expensive. One way to limit fees is to organize bank statements and explain anything that's cryptic to the accountant, instead of letting him do everything. Not only are you saving a substantial hourly fee, but it will probably take you less time to do so since you are familiar with the activity in your own account. I haven't gotten a bill for my amended returns yet, but I believe this will pay off. Anything you can share with us from the conference ? The Taxpayer Advocate has to come out with her objectives report for 2012 soon, so it would be good for minnows if she were to cover the VD program and urge more disclosure from the IRS. And if she were to identify this as a systemic problem .. that would mean the TAS would pay more attention to minnow complaints. She really did not say anything relevant to offshore accounts that was not already well publicized. It is clear that she disagrees with the Commissioner's approach of having the heavy inside OVDI penalty, but not offering some guidelines or categories of penalties that might apply on opt out. She believes in transparency and fairness. At least in this segment of its operations, the IRS does not believe in transparency; the open question is whether it believes in fairness and is willing to exercise that belief when people opt out. The tragedy, I think, is that the lack of transparency has created so much unnecessary anxiety among good people. I personally think the IRS and the American people in generally would have been better served with more transparency about the opt out / audit results. As I have said before with more transparency and an incentive to come into the open (say 1/2 the normal audit result), I think the IRS would have served the American people better and got more people into compliance going into the future. That would have been win-win. But, then I don't run the IRS. Nina Olsen's heart is in the right place. She did misspeak at one point. The only reason I mention it is because others may labor upon a similar misunderstanding. She said that those who opt out could be subject to more onerous civil penalties and would lose the protection from criminal prosecution. The latter is not true. The criminal protection continues on opt out. The only risk on opt out is a more onerous civil penalty. But, in my view, the persons who are really at risk of a more onerous penalty would be stupid to opt out because they and their advisers should know that they will draw a more onerous civil penalty. Yes, Ms. Olsen's heart is in the right place and so is yours. I'm preaching to the choir here ..